As a mother of two young children (and a husband with a casual disregard for his clothes), I am constantly doing loads and loads of laundry. Some days I feel like my children are celebrities hosting an awards show, as they once again have a wardrobe change. Although, I am pretty sure Jessica Alba isn't changing because of a leaky diaper. In the beginning, I was washing the kids' clothes with a child-friendly detergent (read: no dyes, no perfumes, etc.) that was great for their sensitive skin but not so great for my budget. That's when I discovered homemade laundry detergent. Gentle enough to be used on baby clothes but tough enough to get out the grease from my hubby's coveralls AND at a fraction of the cost. Woo-hoo! There are numerous sites out there, all with great recipes (is it still called a recipe if you can't eat the end product?) 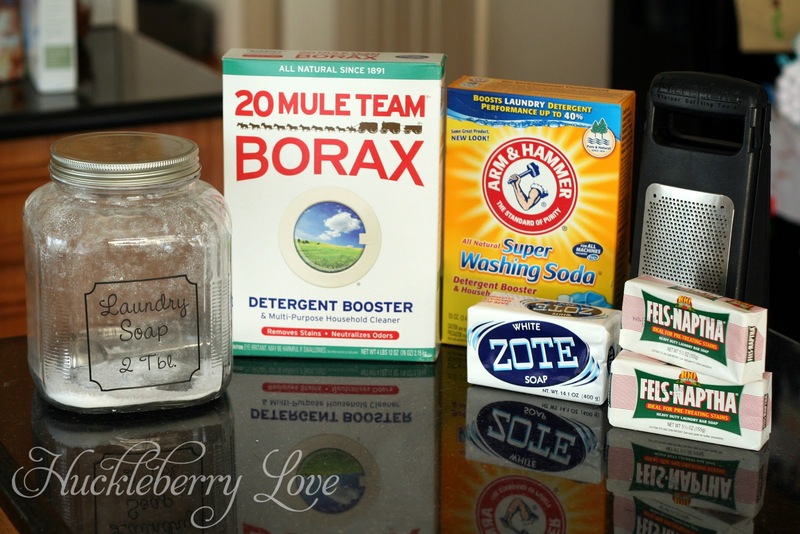 for making laundry detergent and I ended up combining several to get the combination that I like best. 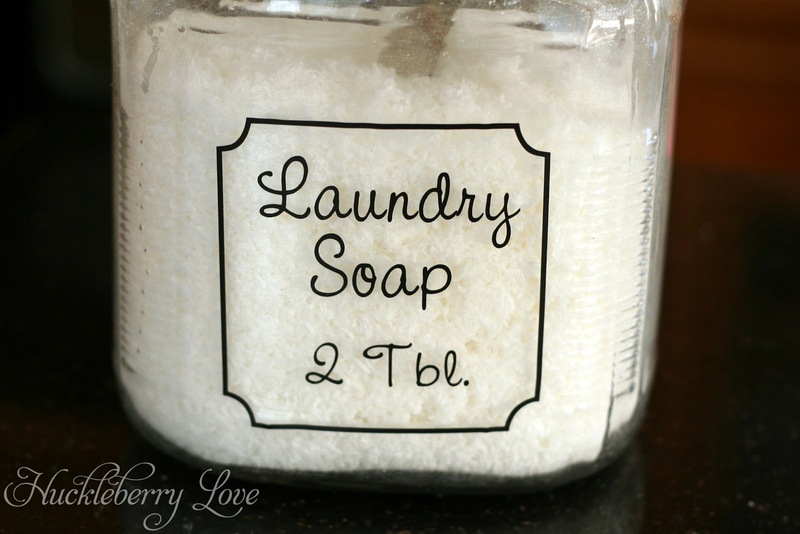 After doing the math, each large container of laundry soap costs about $3.32 to make. I have not actually counted how many loads this will clean, but if I had to guesstimate I would say somewhere in the neighborhood of 50 loads. And to further prove I can do math (or at the very least work a calculator), that is about 6 cents a load. Crazy amazing, right? Okay, enough math and numbers...on to the tutorial! 1. Gather your ingredients. Believe it or not, the only place that I can reliably find all the materials is Wal-Mart. Ah, good ole Wally World. You never let me down. 2. Grate the soap. I always use my kitchen grater and then rinse it really well afterwards. The first time I made this, I used the coarse side of the grater. Mistake! It was a lot faster this way (which is why I did it in the first place), but the larger pieces of soap didn't dissolve as easily and I would find chunks of them after the wash cycle was finished. It wasn't a big deal; I just rinsed the clothes again and the soap dissolved away. But now I always use the finer side and I haven't had a problem since. In case you are wondering, these adorable, chunky arms belong to my daughter/model, not me. 3. 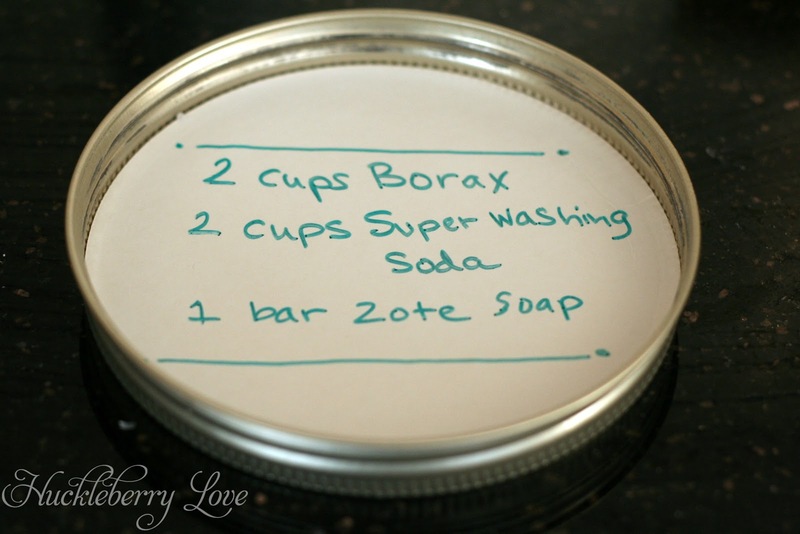 Measure out your Borax and Baking Soda. Add to container and mix. A side note on the container: make sure it has a good seal or humidity can seep in and cause your soap to clump together. I got my container at Wal-Mart for $5 and it has worked beautifully. 4. 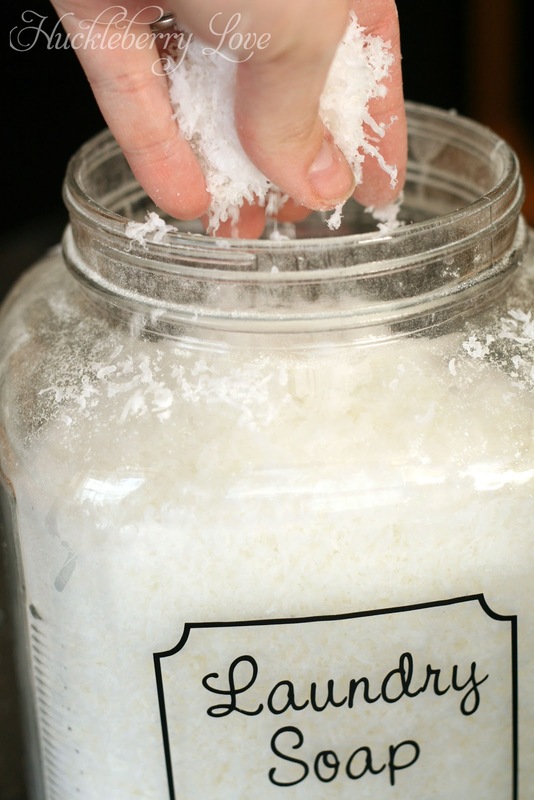 Add the grated soap a little bit at a time, mixing as you go. 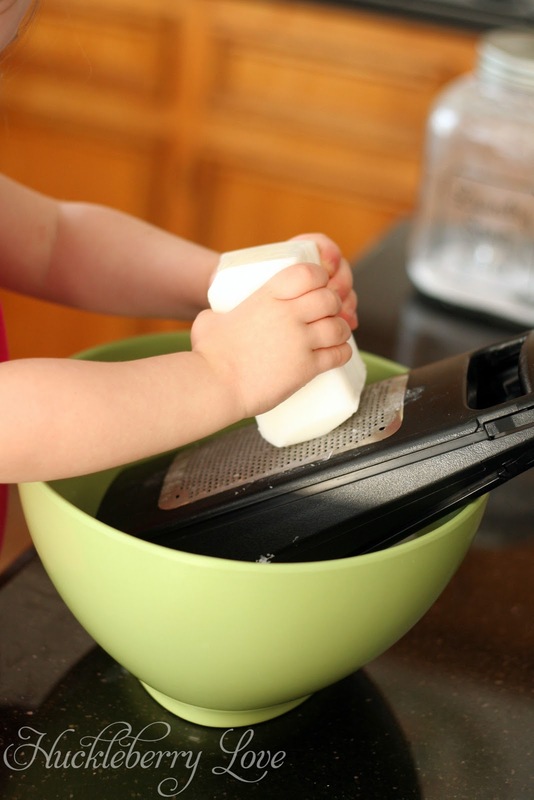 Once all the soap is in, put your lid on tightly and give it a good shake. Play some salsa music and really give it a shake. 5. Use it! 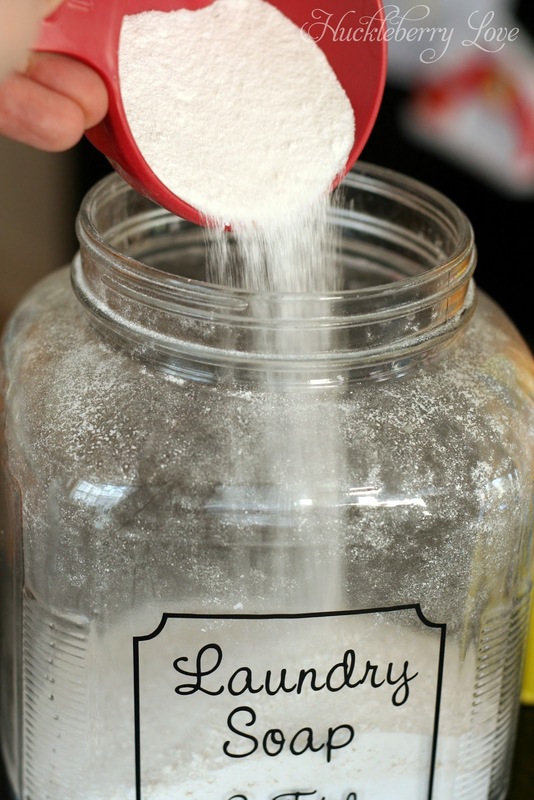 I use 2 tablespoons per load but have heard from other people that 1 tablespoon is sufficient. I just feel like my kids (and husband) are really good at getting their clothes dirty and I want all the cleaning power I can get. After putting all the clothes in the front loader, I add my 2 tablespoons directly into the drum and then turn it on. That's it! Also, because I am a mom and therefore have mommy-brain (it's a scientifically proven thing), I wrote the instructions in the lid of the canister. Just in case I forget. Which may have happened before. I love how cute my little jar of laundry detergent looks on top of my washing machine! Hope this makes laundry a little less horrible! I used my Silhouette Cameo and cut out a vinyl label for the container and would love to share it with you! 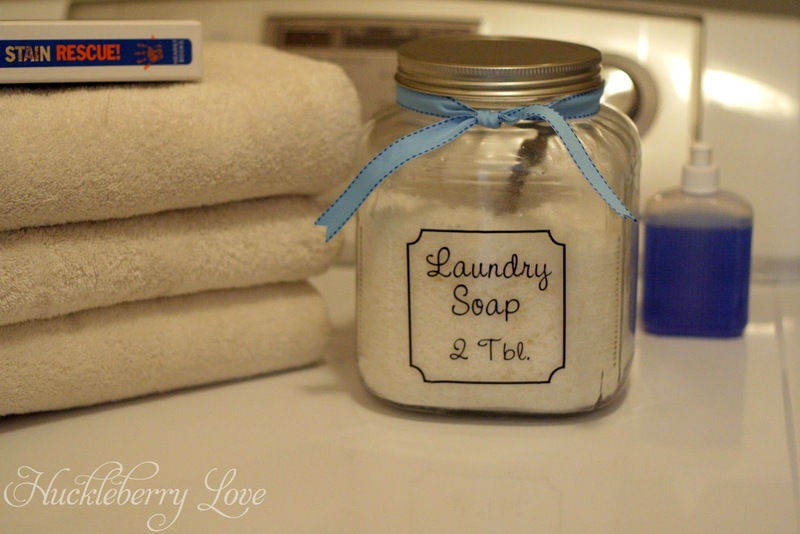 Thanks so much for sharing this creative tutorial at Simple & Sweet Fridays. I've always wanted to try and make laundry soap. This looks perfect! Happy New Year!